Got your synapses firing in time for class? Spending your afternoon solving big problems? 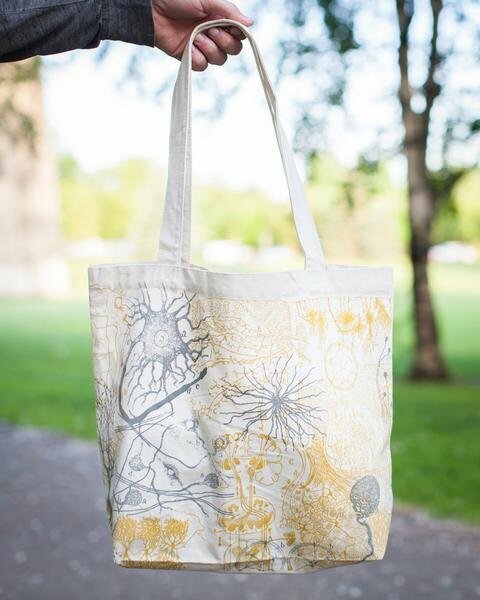 This tote bag will help you forge new neural pathways with its vintage illustrations of neurons in gold and gray.